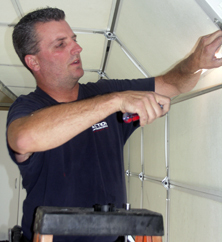 We service residential and commercial overhead doors. Reno, Carson City, Incline Village, Gardnerville, Fernley, Dayton, Fallon, Yerington, and all of Northern Nevada. Our goal at Action Garage Door is to provide our customers with the best products, with the best service for the best price. Keeping our goal in mind, we have selected Northwest Door and Carriage House Door as our main door suppliers. Although we will install other brands of doors at the customer's request, we have found these brands to be the best product for the best value. Both provide energy-efficient insulated steel doors and beautiful natural wood doors with an almost unlimited number of window, trim and finish combinations to choose from. Copyright © 2017 - 2018 Action Garage Door, Inc. All rights reserved.